This post is a simple introduction to Powershell and a demonstration of a couple of useful ways it can be utilized during the information gathering stages of a pentest. 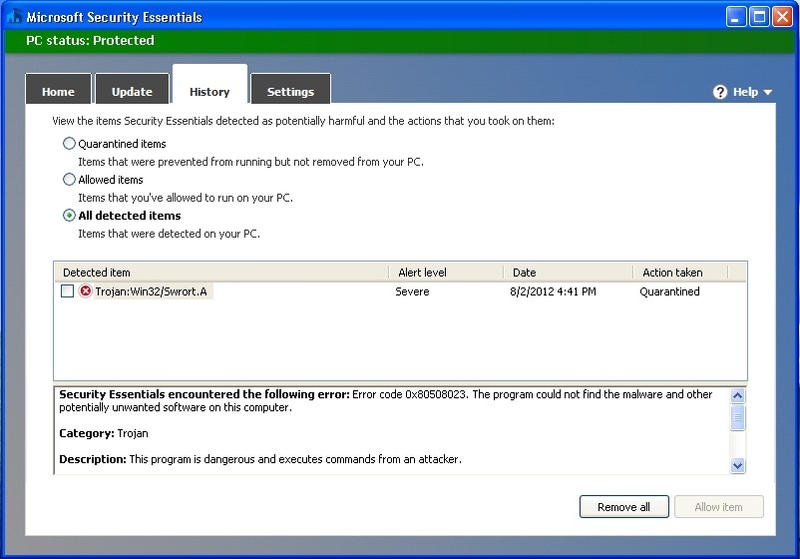 All of the examples are demonstrated using Powershell version 3.0, so unless you are running Windows 8/2012 or above, you will most likely need to download the latest version from Microsoft. To check what version you are currently running, simply run the following command. Edit: @obscuresec pointed out that you must also have the “Active Directory Module for Windows Powershell” installed/enabled to utilize the following cmdlets. You can find this module in the “Remote Server Administration Tools”, which is a separate download from Microsoft. The module is enabled through the “Programs and Features” Control Panel item. Assuming that you will be running these commands from a local machine that isn’t joined to the domain, the first requirement for enumerating Active Directory is valid domain credentials, because any valid domain user has full “read” access to Active Directory. If your lucky, these are usually attained via brute force or possibly a compromised host on the domain. This is often the first step towards the fall of the “Domain Admin”. However you attain these credentials, use them to connect to the Active Directory service. When prompted, enter the credentials, which will be saved in the “$cred” variable. Now we can simply call the “$cred” variable when we want to query the domain service. The first command that I like to run is a query for the list of “Domain Admins”. PS C:\Users\TrustedSec> Get-ADGroupMember -Credential $cred -server pwnt.com "Domain Admins"
Now, the only field important to us is the “SamAccountName”, so lets filter the rest out. Another useful query might be to enumerate all servers on the domain. What if we want to search for any computers that are named according to users, such as specific “Domain Admins”? PS C:\Users\TrustedSec> Get-ADUser -Credential $cred -server pwnt.com -Properties Title -LDAPFilter "(title=*database*)"
Hopefully this sparks your interest in Powershell and helps you on your next pentest. If you haven’t already, you should also check out Matt Graeber’s PowerSploit cmdlets. There are many incredibly useful scripts that he maintains and provides to the community for free. Happy PowerSploiting! 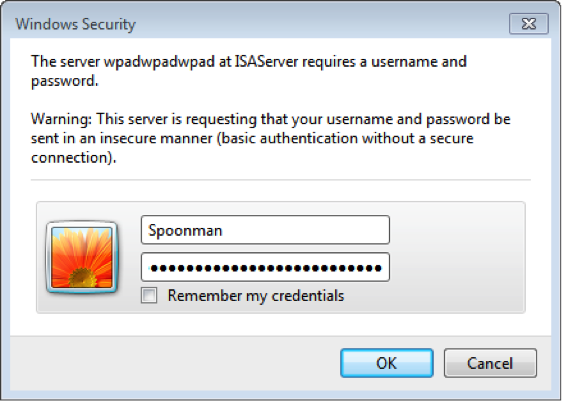 I’m sure every pentester is aware of the WPAD man-in-the-middle trick, but here is my walkthrough of a dirty little trick that utilizes this vulnerability to grab some clear text credentials. If you’re not already aware, there is potential vulnerability that exists in the way that Internet Explorer is configured to “auto detect” its proxy settings. 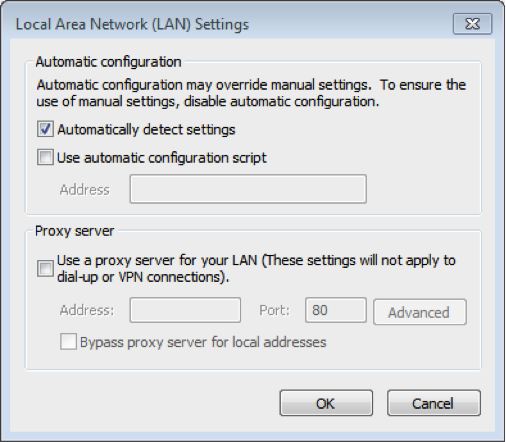 If “Automatically detect proxy settings” is checked in the proxy configuration tab, IE will generate a name lookup request on the network, for a host named “WPAD”, on initialization. Finally, mimikatz has been accepted into the Metasploit trunk! This post is an update to an earlier post named Dumping Clear Text Passwords. Now, it’s easier than ever to dump clear text passwords from within a Meterpreter session. Let’s walk through an example. At the time of this writing, “msfupdate” was not pulling down the mimikatz extension for me, so I just copied the required files to their respective locations found here. Now, once we attain a Meterpreter session, we just load the extension and call “wdigest”. 0;173813 NTLM      VULNXP       TrustedSec      SecurityMadeSimple! Easy as pie. I can’t wait to use this on our next pentest!